23.03.2018: Amiyabhushan’s birth anniversary celebrations across West Bengal. News report in UttarBanga Sambad. (inset) The author’s son Apurbajyoti addressing the audience at the author’s home, Rajnagar. 22 March 2018: Birth Centenary celebrations at Amiyabhushan Majumdar’s home, Rajnagar, in Cooch Behar. 23.03.2017: News Report in the daily Bharat Darpan on Amiyabhushan’s birth anniversary celebrations. (inset) Ms. Reba Kundu, the then Municipality Chairperson of Cooch behar, garlanding the Author’s photo. 04.04.2017: Shri. Sanjay Mukhopadhyay and Shri. 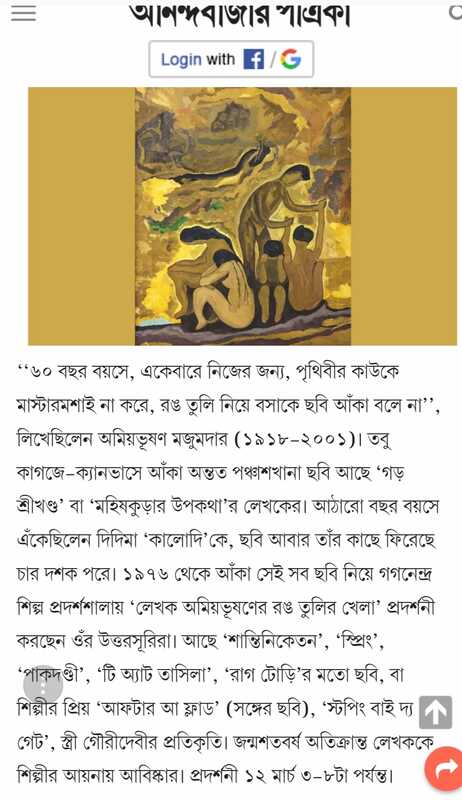 Anandagopal Ghosh speaks at the Amiyabhushan Majumdar Centennial Memorial Lecture, organized by the ‘Amiyabhushan Birth Centennary Celebration Committee’, Cooch Behar. 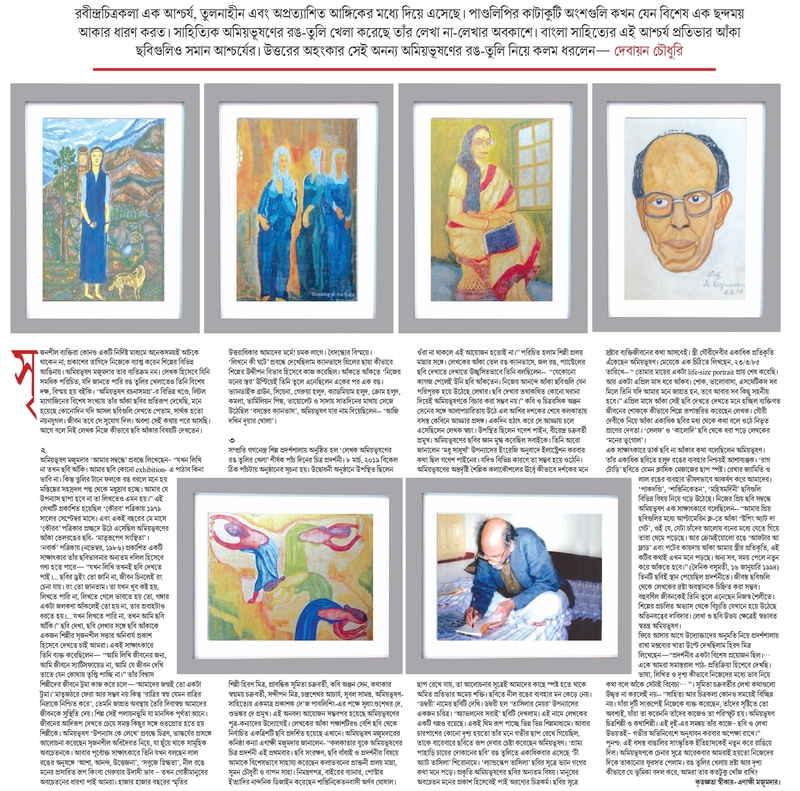 News report by Anandabajar Patrika. 16.03.2017: 2-day National level Symposium on Amiyabhushan Majumdar’s literature, organized at GourBanga University. News report in UttarBanga Sambad.